The California Energy Commission continues to strive for energy efficiency and preserve outdoor and indoor environmental quality through the California Title 24 Building Energy Efficiency Standards. For Nonresidential Buildings, this includes specific requirements for Lighting Controls and Mechanical Acceptance Testing performed by technicians from an approved certification provider. Acceptance testing ensures building components, equipment, systems and interfaces between systems conform to the criteria set forth in the Standard. While acceptance testing is not intended to take the place of commissioning or test and balance procedures, there is potential crossover into the commissioning related tasks, therefore our clients often hire Drake Integrations to perform both services. It is critical that the acceptance requirements are incorporated into the construction documents, including information that describes the details of the tests to be performed. This information could be integrated into the specifications for testing and air balance, energy management and control system, equipment startup procedures or commissioning. Acceptance testing typically involves plan review, construction inspection, functional testing and verification, and Certificate of Occupancy. California's Building Energy Efficiency Standards are updated on an approximately three-year cycle. The 2016 Standards will continue to improve upon the 2013 Standards for new construction of, and additions and alterations to, residential and nonresidential buildings. The effective date of the 2016 Standards is January 1, 2017. Effective July 1 2014, California's 2013 Title 24 standards require installed lighting control systems to be certified before occupancy permits can be issued. 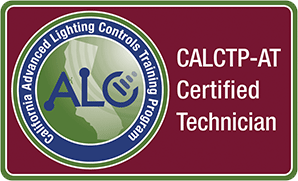 These systems must be tested by a California Advanced Lighting Controls Training Program certified Acceptance Technician (CALCTP-AT or CLCATT). Drake Integrations is a CALCTP Employer and has multiple CALCTP-ATs on staff to provide lighting acceptance testing for your next project. The Mechanical ATTCP threshold has not been met and at this time, any technician may perform the mechanical system acceptance testing. Drake Integrations anticipates the threshold to be met soon, and is applying for formal certification as a NEBB California Title 24, Part 6 Non-Residential Mechanical Acceptance Test Employer (ATE) in the coming months.